Empyrios from Italy were formed in 2001 by former members of bands like Marsh Mallows, Hot and Gory Blister. The only newcomer in the band is singer Silvio Mancini who fulfils his job in a more than decent way. At first, I wasn't too eager to listen to another Italian power metal band, but Empyrios are however different from the average stuff I get to review from the country of soccer world champions. 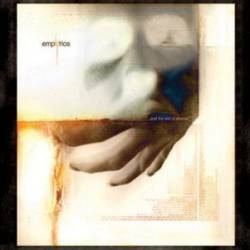 Empyrios have a classic progressive metal side close to bands like Dream Theater, Evergrey and Symphony X. But there is also a heavier side to Empyrios which underlines their influences by Nevermore, Meshuggah and Fear Factory. The albums starts with a short, but obligatory intro before you get to listen to Tort, a technical power metal song with some aggressive elements. A pure prog metal track in the line of Symphony X follows (The Ruiner) before the albums presents a much thrashier but still technical face (Unbalanced Equilibrium). The next track (Psycho Terrorism) is my favourite as it sounds like a harder Dream Theater song accompanied by a bizarre piano part. Eal is the band's ballad and although this track shows another aspect of Empyrios, the song doesn't match into the album's overall concept. Another thing that doesn't work so well on the album is the idea to put four short instrumental pieces on it. This doesn't help to make the album more exciting. It's cool that Empyrios are trying to sound different from classic power metal bands and their song writing has a lot of strong moments. These five musicians are still young and can certainly improve in the future. But it's still a long way to reach the level of Rhapsody Of Fire which is still Italy's number one metal band.